I firmly believe that in our fast-paced development communication world of blog posts, TedX talks and nightly Twitter discussions and despite crisis calls from traditional publishers, books will continue to play an important role in reflecting on and learning about development. 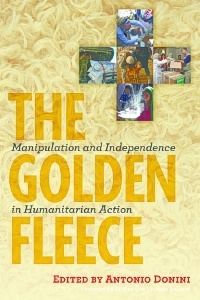 In many ways, The Golden Fleece: Manipulation and Independence in Humanitarian Action is a very good example of what’s right about today’s academic publishing industry. There are two main reasons why I thoroughly enjoyed the book: First, the chapters and case studies come with a detailed historical framework – something that is all too often overlooked when making an argument for something ‘new’ or different or the latest approach on how to ‘solve’ a development-related problem. As a ground-breaking Thanksgiving change to the link review I have reversed the order this week and start with interesting insights from Academiabefore moving on to Anthropology and finally Development! If you visit Coca-Cola's new website you may think that you arrived at some philanthropic endeavor, a social enterprise or foundation maybe.